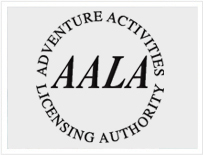 Hengistbury Head Outdoor Education Centre is authorised by the Adventure Activities Licensing Authority. How many people will be on my childs course? 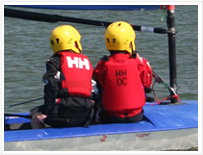 Course numbers vary but we always work with staff ratios that are set by national governing bodies, this means that dependent on the type of course you will normally be in a group of 6:1 or 8:1 some courses such as powerboating have lower ratios. Will my child achieve a certificate? All of our structured courses work towards nationally recognised certification, however it takes everybody different amounts of time to learn. Some courses are shorter than others so you will always be working towards that next certificate, but more importantly you will always be learning and consolidating your skills. Is the certificate and log book included in the price of the course? What equipment will my child need to bring with them? A change of clothes is necessary for all activities, including footwear and towel for water activities. Any additional equipment you may have such as a wet suit will make you more comfortable although we do have these to borrow at the Centre. Do you run Residential courses? We only run residential courses for group bookings. However there are many lovely places to stay in the nearby Bournemouth and Poole, speak to us for an accomodation list. Is there somewhere get lunch? There is a cafe a short walk away but we often only stop for short breaks so a packed lunch is advisable, there is also a vending machine offering snacks and hot and cold drinks. We can cope with quite bad weather before it causes large problems; many of the sessions can be run in all conditions. However if it is not possible to run the session you booked we will offer you an alternative whenever possible, if this is not acceptable to you or there is no alternative we will work with you to reschedule or provide a full refund. Can you tell me what activities my child will be doing on my Multi-Activity Day? On our Multi-Activity Days we try to give you the best day possible keeping the group and the weather in mind. It is therefore not possible to schedule activities until very near the date of the course. However these days are always action packed and lots of fun! We do not hire equipment, but we do run club sessions which are less structured than our normal lessons and allow you to practice your skills at your own pace while still supervised by one of our qualified instructors. I don't know which course to book on what should I do? Our experienced staff at the centre are always pleased to advise you on which course to attend so please ring us or pop in for a chat. You can book by phoning the Centre on 01202 425173 or by visiting us. Or if it's out of hours by submitting an online enquiry form. We will get back to you within 24 hours of recieving your enquiry.